Thanks to John Ryall for this superb write-up of the Hobie Event! 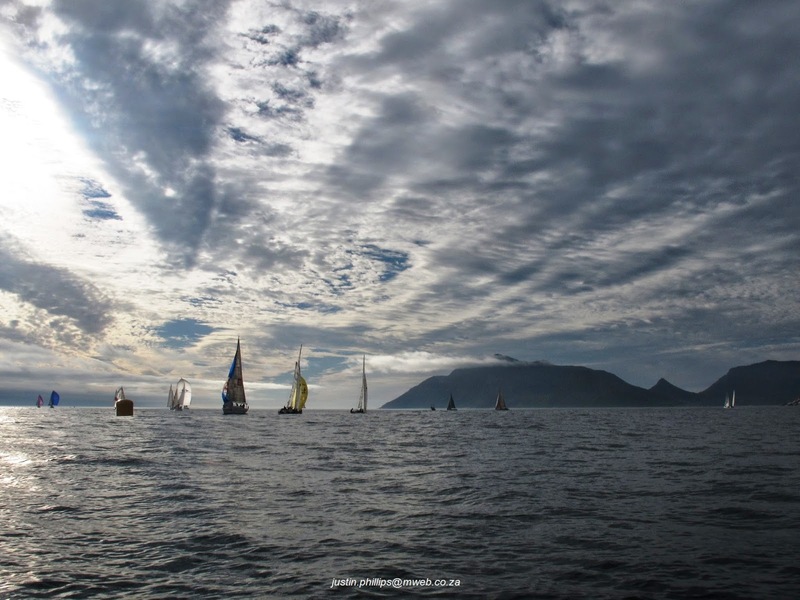 When an event ends with no results it is not often deemed a success – although lacking in results the Hout Bay Long Haul was an unqualified success! For some reason I was given a bottle of wine at the prize giving and when I turned round it really hit me how many people were there and who had been enticed out of the woodwork for the event, and it was not just looking full because we were sharing the event with the Keel Boat Sailors sailing in the Admirals Cup Regatta being run concurrently with ours. Seen on the beach were Eddie Scarper – who worked with John Whitmore I understand. Alison Ball, looking as fabulous and if anything fitter than ever, came looking for a sail if one was available. We had Zac and Cody Wessels first time out on a Hobie 16 together – good to see you Zac – William – Cody is the ideal Tiger Crew for you. Stewart Walker had yet another good looking crew in the form of Megan Bagshaw while Sue crewed for Andrew on the Tiger – brave girl. The Du Plessis family eventually found the road out of Langebaan and made it to Cape Town although only Jaco and Shannon sailed. 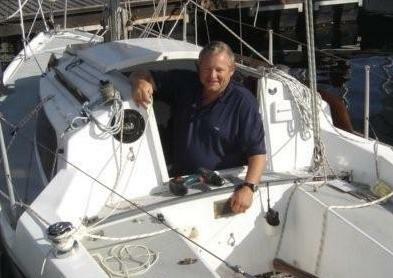 Martin Fine crewed for son Robert on his 16 - now with nicely refurbished carbon rudders. By design Belinda had Perry Harrison-Hyde of Laser fame on the foredeck – Belinda take him out in 20knots at Fishhoek and make him look under the tramp on the trapeze like Shaun if you really want to show him ! It was great to see our esteemed sponsor Simon van Nimwegen sailing with John Gilberg – we hope to see more of you both - thank you for the very generous sponsorship. Ian Dunt turned the clock back pitching up with Sarah Wallace and yet another Hobie 16 from his fleet of boats. Klaas (Old Sea Dog) de Rooy thought he could see his boat and car on the 1988 poster advertising the event – it seems he has always liked brightly coloured sails. 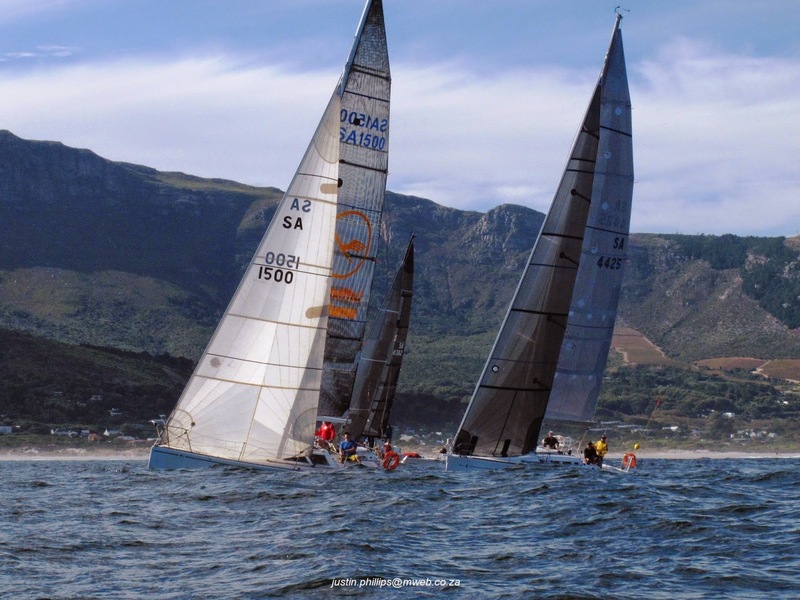 The Wijtenburg Clan stayed down in CT after the Tiger Nationals, Mark sailing the Tiger with Andrew Fourie (we think it was Andrew – hard to tell) while Brandon and Todd practised for the youth Worlds. Petrol on the N1 was at a premium when they went home on Tuesday – towing a Tiger with a 16 on top behind 5.5 litres of Mercedes makes your eyes water at the thought of the fuel bill. It was great to see Andre and Michele Diener on the water – more please next year and Andrew Hulsman sailing with Marijke Honig was another Hobie sailor we would love to see more of. Mike and Emma Roberts were a welcome addition – we have not met them before I believe. Martin (goes sailing) was the lone Mosquito. The Obree’s Mark and Sarah and Matthew Whitehead represented Hobie 16 sailors normally seen on the Grand Slam circuit. Well done to Andrew Walker and Jeremy Nel for getting such an eclectic line up. 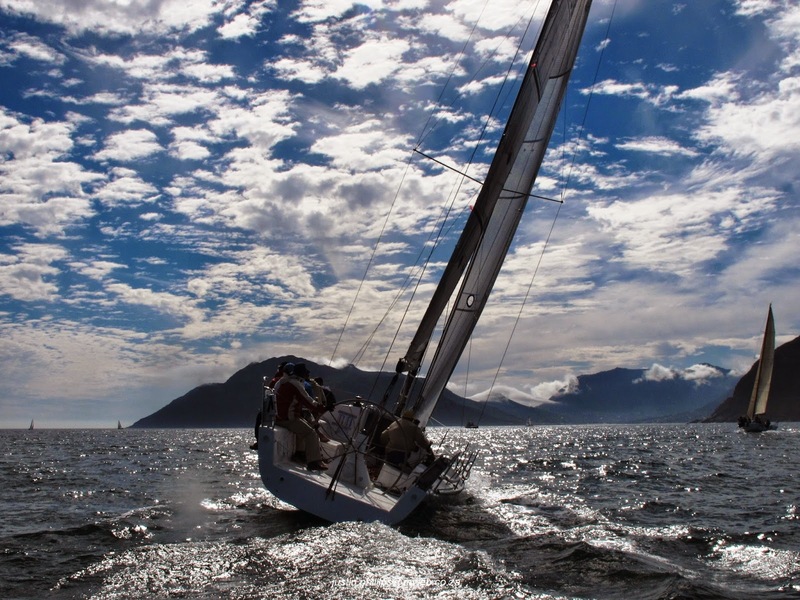 Hout Bay was at its capricious best in the weather department – fog, NW wind, dead calm, SW wind and dead calm again. The race officer, Vice Admiral (accent on the Vice) Chrome Hunter confused us all at the skippers briefing by asking at 9.40 who could make a 10.30 start and upon receiving the negative from most sailors then said the start would be at 11 or 12 please could we be on the water by 10am ! Course cards gave GPS coordinates of the marks, all bar the last to be left to starboard but checking these at sea proved to be difficult on a Hobie – next time buoys all round please. Simon Russell could not sail but sent the attached newspaper front page from 1988 showing both the weather and political climate have calmed down. For professional photos of the event go to Trevor Wilkin’s Photo’s at – some amateur ones above. Although there were no results and the organizers were largely unaware of it there were several competitions within the competition – just like a cycling or trial running race there were courses to suit all - Seb. Perhaps if we had a trail run to the start we could even get Richard Ayres to sail. 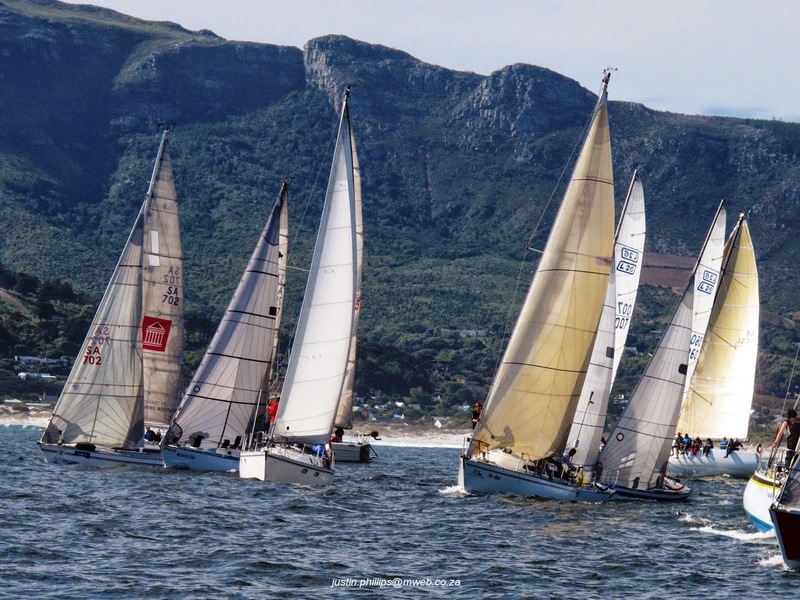 The first competition was a sort of ‘Top Gear challenge’ – drive from Hout Bay to Fishhoek and back to collect your missing sails before the fleet leave the beach. There was just one team entered in this – Carolyn Fulton and Andy Nixon – Andy was first home sailing an Audi I understand, having received an additional challenge at FHBSC finding the garage was locked. Score - Hobies 1, Car 0. Colin Whitehead and Josh Selig won the short course home – turning at the blinder below Chapman’s Peak due to some confusion in the shorten course procedure. They sailed back out to try to go around again in the light airs (I am being diplomatic – it was mostly ‘bobbing’) Klaas (Old Sea Dog) De Rooy and Suzanne Morton won the long course going around the blinder, up to one of the Keel boat marks past our turning mark before Kommetjie, back to the blinder, back to the Hobie mark and then back into Hout Bay beating almost every one back to the beach. Iain Park-Ross scared the hell out of his new crew Tracy Pels by sailing over the blinder – Iain not the way to treat a new crew ! With all boats drifting back to the finish and beach by 1.30pm Chrome (Vice Admiral) Hunter started a 2nd race over near the Chapman’s Drive shore in the hope of more wind but even there it was not to be. The only highlight was a Hobie 14 beating all but one Tiger to the weather mark. The generous prizes were given out as lucky draw prizes choreographed by Zac Wessels. Nic Ryall had a great surprise when he won R 500 donated by Dave Power for the first Hobie 14 home. Jeremy Nel, Andrew Walker, Sue Walker & the ever present Marijke Klaver - Registration, Chrome – race officer, Taffy and Shirley Bowen (who came back especially from their world cruise of 14 years) to help and feed, Jurgen Duncker Beach Control and finally Jerry Rogers who had the unenviable task of directing traffic through the dunes – thank you all. Finally the last word to Rob Selig – who else always has the last word ? – ‘that if he saw Caroline R at the 3rd Hobie Regatta in a row it would rain’ and you all know what happened on Sunday ! We will be shortly sending out a details of events during the offseason including the WCHCA prize giving and Grand Slam Series Winners and the proposed calendar for 2014~2015 – please no weddings on regatta weekends this next year. Admirals Regatta made a welcome return to the calendar in 2014.